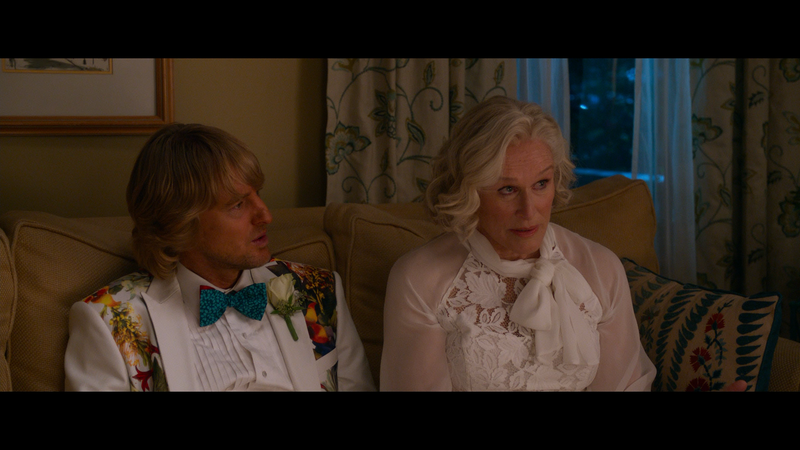 Plot Synopsis: Twin brothers Kyle and Peter Reynolds (OWEN WILSON, ED HELMS) discover their mother (GLENN CLOSE), who raised them to believe their father died when they were young, had lied and is out there somewhere, but being the promiscuous and free love 1970s, she doesn’t know who. The two, who are very much opposites in personalities, set out on a road trip, tracking down one clue to the next from believing Hall of Famer Terry Bradshaw is their dad to a professional car thief (J.K. SIMMONS). Along the way, they begin to learn more about one another. Review: It’s easy to see why Father Figures, which was originally titled Bastards, and shifted release dates a few times, also got wretched critical reviews and had a lackluster box office ($25.5M worldwide off of a $25M budget). Although this by no means is a good movie, it did manage to surpass my basement-level expectations, it did manage to elicit a few chuckles here and there. Even though Owen Wilson and Ed Helms are more or less playing similar characters they have in the past, I did enjoy their comradery and comedic chemistry. Also helping was a supporting cast that shockingly would sign on to this kind of material like Oscar winners Glenn Close and J.K. Simmons, but they at least do (somewhat) elevate the bad material as does Katt Williams and Terry Bradshaw (whom I’ve always liked beyond football) while Ving Rhames and Christopher Walken were wasted space. 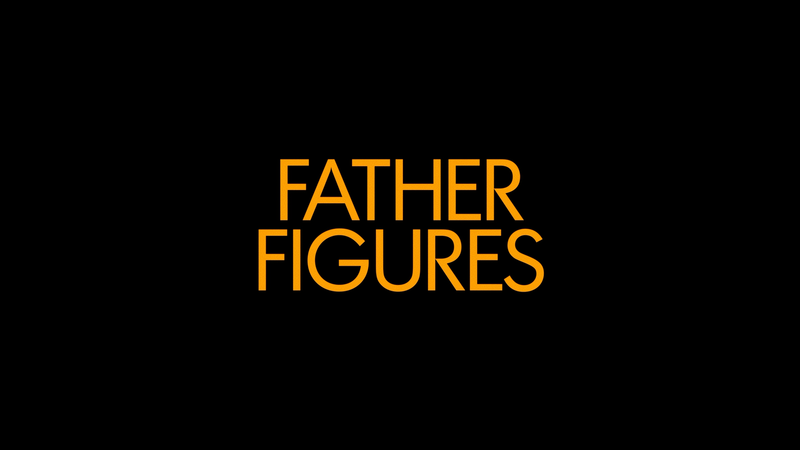 Father Figures is the directorial debut for cinematographer Lawrence Sher on films like Due Date (another lackluster duo comedy), The Hangover Trilogy and, oddly, Godzilla: King of the Monsters. The style of the comedy is rather basic and heavily relies on both the script, which lacked consistent comedy and followed a specific formula (outrageous situations/coincidences followed by a tacked-on heartfelt ending), and the cast, where Wilson and Helms had little to work with. I can’t say this was necessarily a bad movie but it’s not hard to see why it failed or why the studio had a difficult time with what to do with it, hoping I guess to let it get lost in the Christmas box office shuffle. And honestly, it probably deserves to be lost and will take no time to land in the proverbial online bargain bin (and actual one at Wal-Mart and Best Buy). This release comes with a matted slip cover, inside is a redemption code for the Digital HD copy. Features are lackluster with 10 Deleted Scenes (21:09; HD) and a Gag Reel (4:26; HD), nothing else. 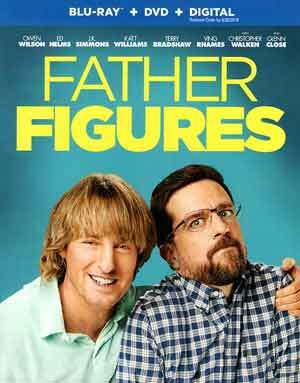 Father Figures is presented in its original 2.40 widescreen aspect ratio and a 1080p high-definition transfer. The picture is reasonably sharp and well defined throughout and colors, in keeping with the light-hearted, comedic tone, are bright. The included DTS-HD Master Audio 5.1 track is fine, but basic. Dialogue was clean and clear coming from the center channel while the front and rear ones was rather uninspiring and, even though it is a comedy, lacked any depth, including a train/car crash. I doubt it’s anything wrong with the transfer, but instead post production sound design. Overall, Father Figures is just the latest in the litany of forgettable throwaway duo/buddy comedies that constantly come down the line and are in-and-out of theaters. That said, it’s not horrible and it did have a few laughs, but otherwise I won’t see it again and likely could be edited to air on TBS to fill time. The Blu-ray release offers up adequate video/audio transfers and bland bonus features.